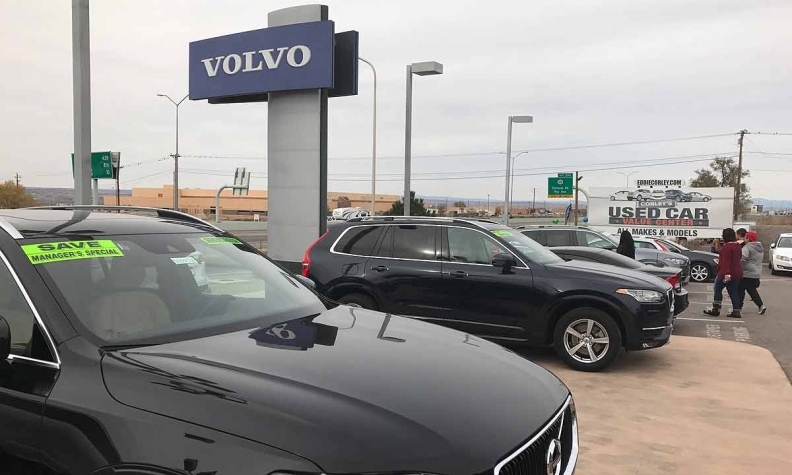 WASHINGTON -- Just 14 of 94 dealerships inspected by the Federal Trade Commission and local partners in 20 cities from April through June had proper buyers guides displayed on the windshields of all used vehicles for sale, the agency said Thursday. Under the Used Car Rule that took effect Jan. 28, dealerships must display updated window stickers, which contain warranty and other important information for consumers, on each used vehicle for sale. Inspectors found buyers guides on 70 percent of the more than 2,300 vehicles checked, with almost half of those displaying the revised stickers. Thirty-three dealerships had the revised buyers guide on more than half their vehicles. It was the first compliance sweep under the new Used Car Rule. The FTC, which made the change in November 2016, said it sent letters to each dealership detailing results of the inspection and providing advice on how to fully comply. The dealerships, which were not named, will receive follow-up inspections in the coming weeks to make sure they have posted the new stickers. Under the FTC Act, dealers who fail to comply face penalties of up to $41,484 per violation.